It’s no irony that one of the smallest buildings in Robert Hutchison’s portfolio says the most about his architectural career. His studio workspace — built behind his home on the site of a former garage — was conceived as a way to streamline his practice and free him to dive more deeply into the areas that inform his work: teaching and conceptual projects. 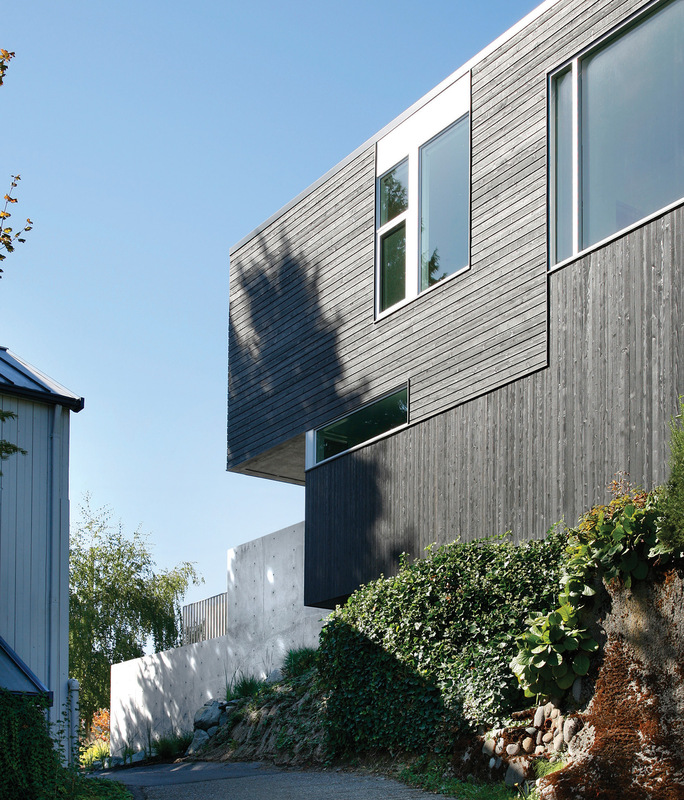 Completed in 2006 in Seattle, Washington, Hutchison’s studio plays with form, specifically in the way the building cantilevers in two directions on two levels. It was built on the original garage foundation, which highlights Hutchison’s commitment to ultra-efficient use of space and to salvage and adaptive reuse. 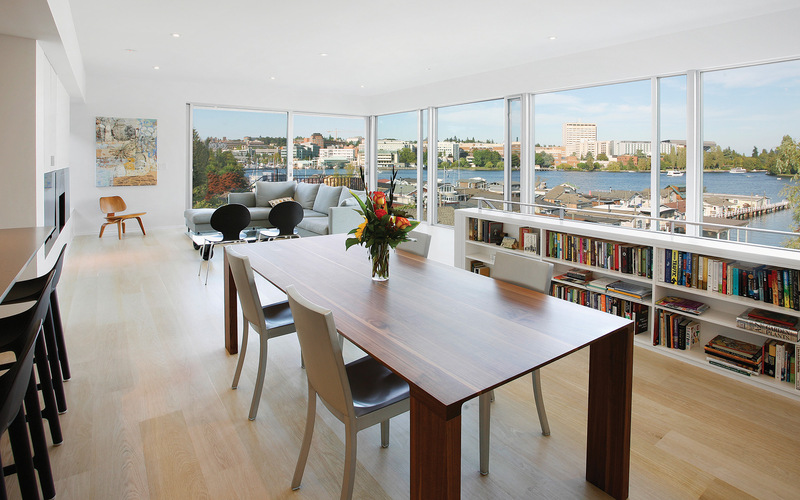 And the studio also makes the most of a constrained site, a talent at which Hutchison’s firm excels. But there is another dimension to Hutchison’s practice that is demonstrated by the studio. A wall of the original garage was kept in place as an art piece, property divider, tangible piece of history and a reminder of the ephemeral nature of built environments. 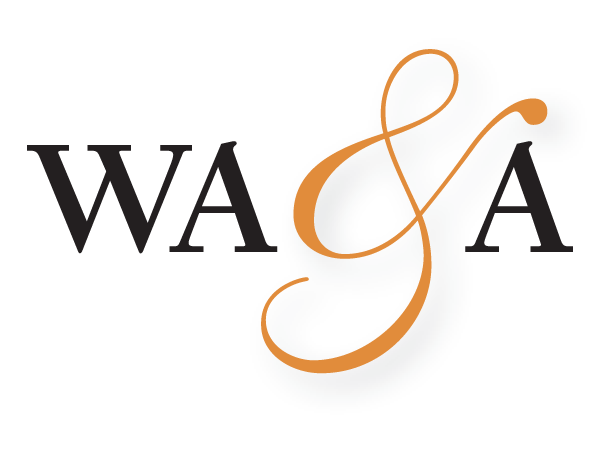 It reminds the firm to continue to explore the roles of narrative and memory in architecture. Although Hutchison has long been interested in such themes, it is only in the past year that he’s had a chance to step back from the daily demands of client-based work and devote more time to developing his ideas. As the recipient of a Rome Prize Fellowship from the American Academy in Rome, Hutchison recently spent six months immersed in a city where ancient monuments crumble quietly next to new construction, a place where history’s layers are visible. His proposal for the fellowship discussed his interest in studying “the dormant spaces of Rome,” and within a couple of weeks he found himself collaborating on a Robert Venturi-inspired Decorated Shed project with a couple of the academy’s resident artists. 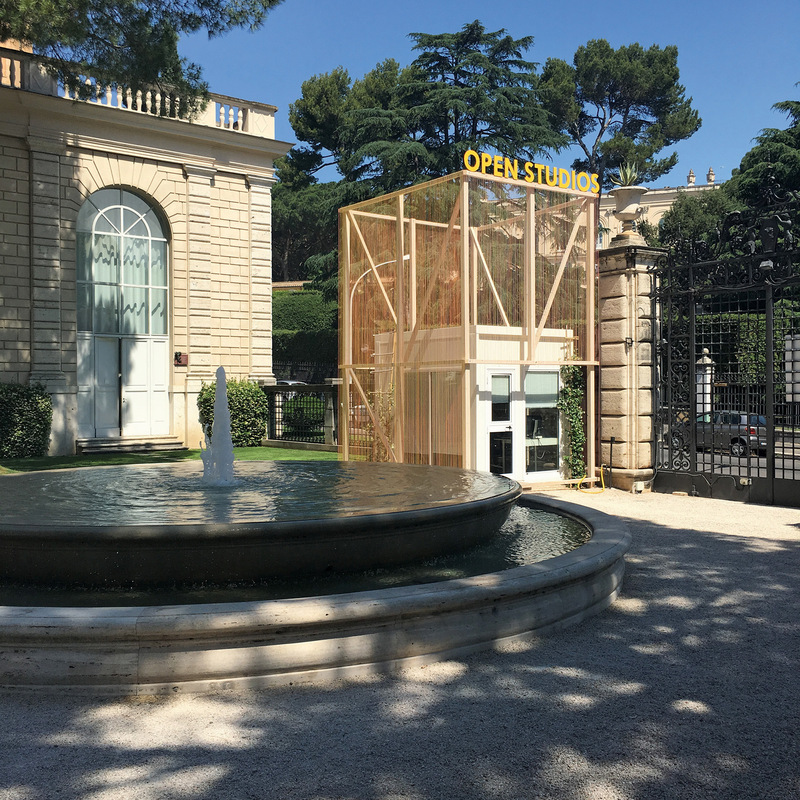 The project involved building a frame around a security shed at the entrance of the academy and then applying thousands of strands of colored thread to the frame as a welcome beacon and exploration of color. This project speaks directly to Hutchison’s other installations, including his Hole Houses (created in partnership with architect Tom Maul), which explored the effects of light by drilling holes in buildings slated for demolition. And another project, Lineamientos, was inspired by the work of Sol Lewitt, designed by Hutchison’s firm and interpreted by a creative team in Mexico. 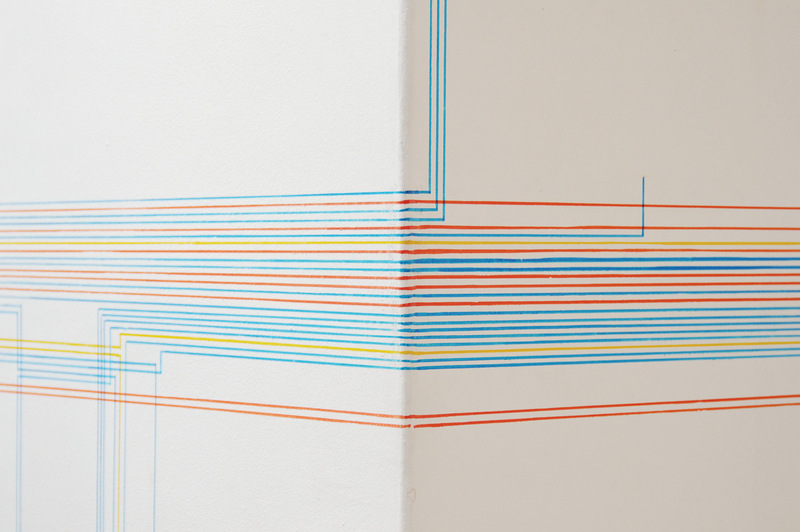 In this project, the shadows left by items on the walls of a recently vacated 1960s residence south of Mexico City were documented, redrawn on a reduced scale on one double-height wall in the residence, and then connected to their original placement throughout the home via colored lines. Lineamientos encouraged visitors to explore every room of the structure while vividly evoking the memory of the home’s deceased owners. The intervention paid homage to the quiet lives fully lived within the walls of a private structure before that structure was demolished to make way for new construction. As an architect, Hutchison is focused on the new while appreciating the old. 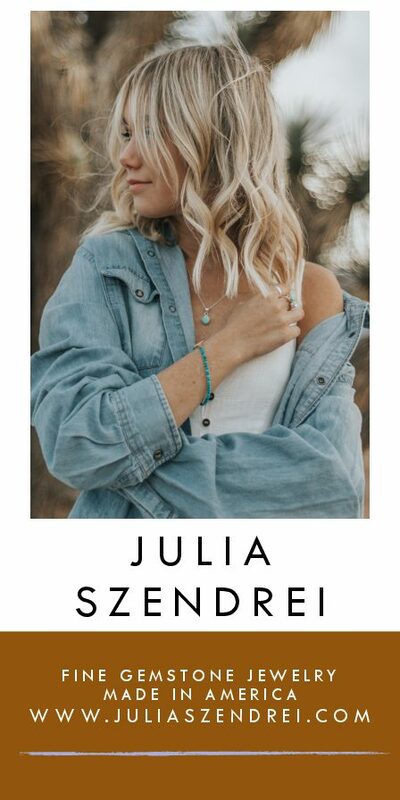 After taking a drafting course in high school, he considered a career in naval architecture before receiving bachelor’s degrees in structural engineering and architectural engineering from Drexel University, followed by a master’s in architecture from the University of Washington. In 2001, after five years with the Miller/Hull Partnership, he formed Hutchison & Maul Architecture with his friend and colleague, Tom Maul. 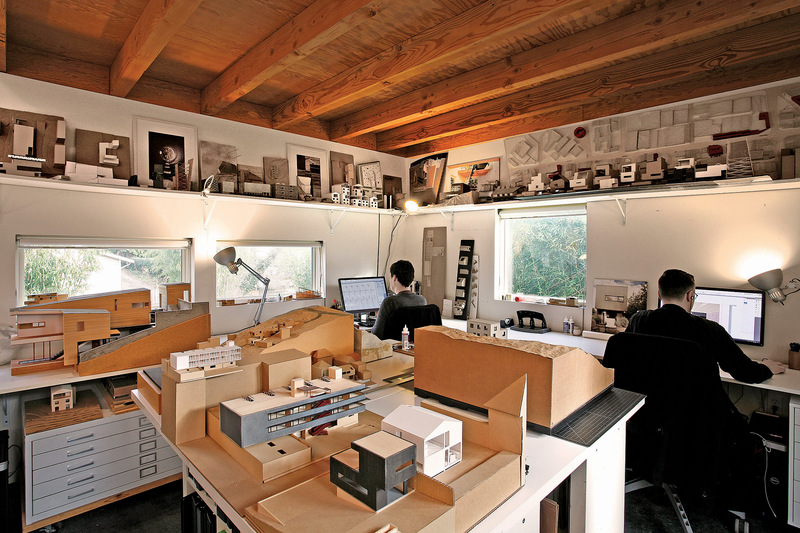 In 2013, he established Robert Hutchison Architecture, a four-person firm whose efficient size and collaborative spirit allows him to pursue his interests in conceptual projects — “the periphery of architecture” — and teaching; he is an affiliate assistant professor of architecture at the University of Washington. 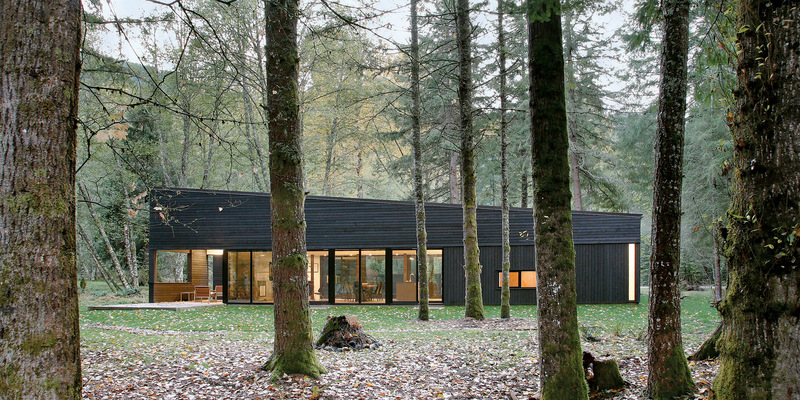 Their Courtyard House on a River lies on a level, forested, riverside property 5 miles from Mount Rainier. Due to land-use constraints involving a wetland, septic siting and proximity to the river, the house is compact, low-impact and unobtrusive. Because of an ubiquitous resident elk herd, the design needed to incorporate protected outdoor space. Two things were paramount from the outset: that there be a visual connection to the trees on site, and that there be a courtyard to provide an entry sequence and create an outdoor room. The architects and owners, outdoors enthusiasts who would act as general contractors, considered as many as 20 different schemes; Hutchison’s team built multiple models, many of which explored a U-shaped structure. In the end, the 1,900-square-foot home is essentially a rectangle of two masses with varied heights and sloped roofs, each with a subtraction of space to allow for outdoor living. Inside, clean spaces make the most of natural light, while a steel-clad fireplace provides a counterpoint to all the windows in the great room. 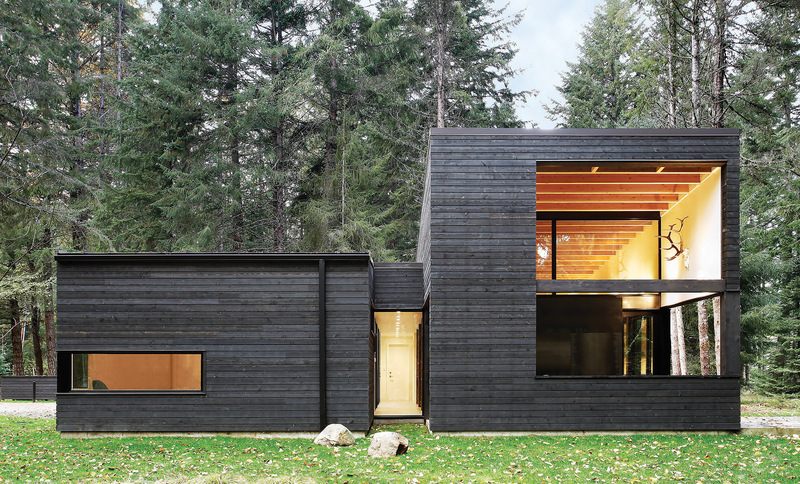 The architects pressed for a semitransparent black stain on the exterior for a neutral blending into its forest environment, a move the owners resisted then embraced. The home has since become their full-time residence and the clients are now the architects’ good friends — a sure sign of a successful collaboration. 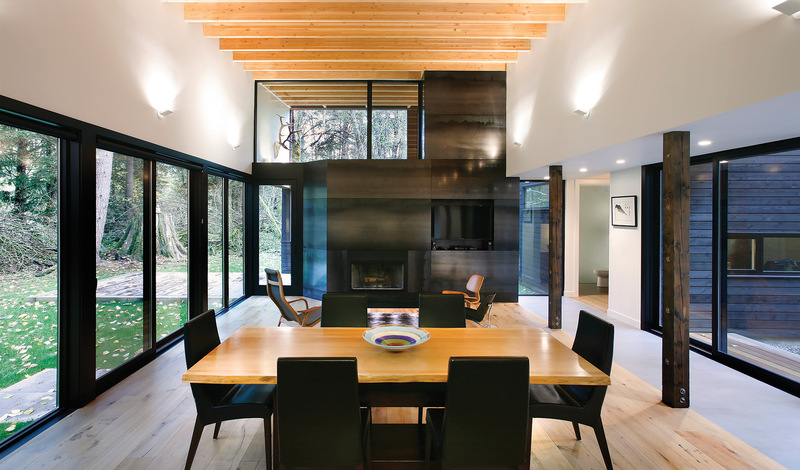 Another collaboration, with a homeowner who is an interior designer, tackled a diametrically opposed set of constraints: to design a small home with a private in-law unit located on a steep, constricted lot in a densely built neighborhood. 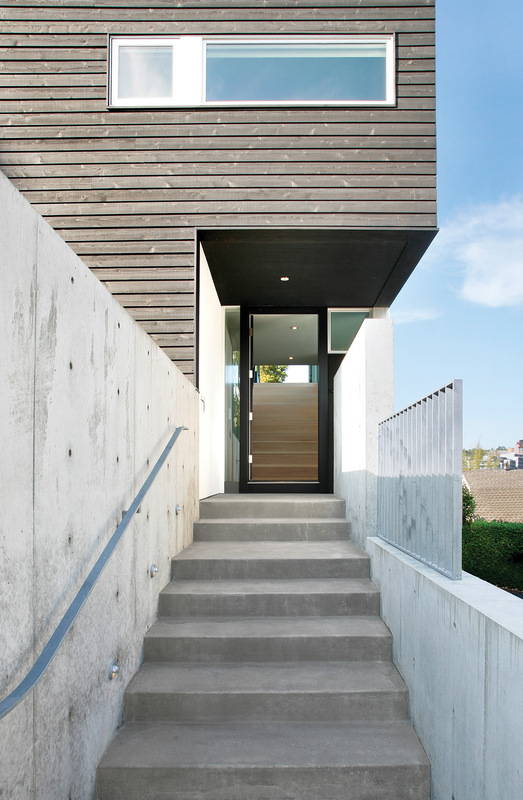 Cantilever House is a carefully crafted sequence designed to draw the visitor from the driveway, between concrete walls of varied heights, to the main entry, a compressed space that opens up to a dramatic 7-foot-wide staircase. 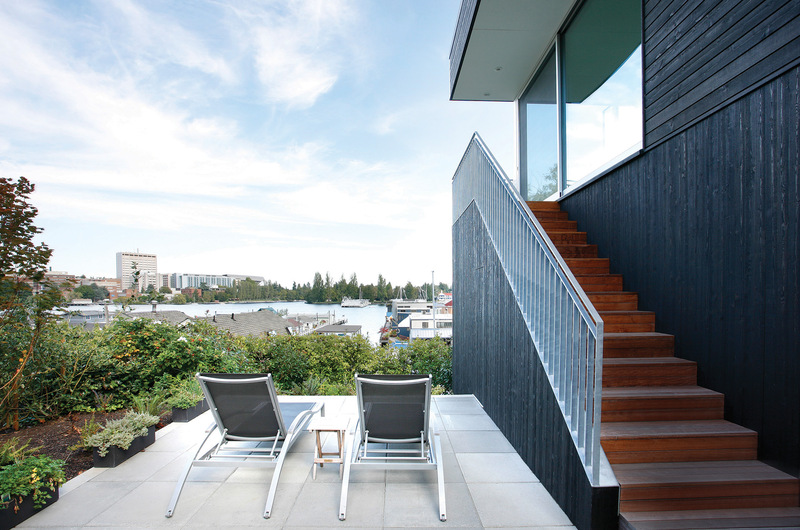 This staircase draws guests upstairs to the main living spaces and the pay off: a sweeping view of Portage Bay and the University of Washington campus. On the tight lot, Hutchison designed a home with a “strategy of expanding and compressing the experience” to make the most of the possibilities. 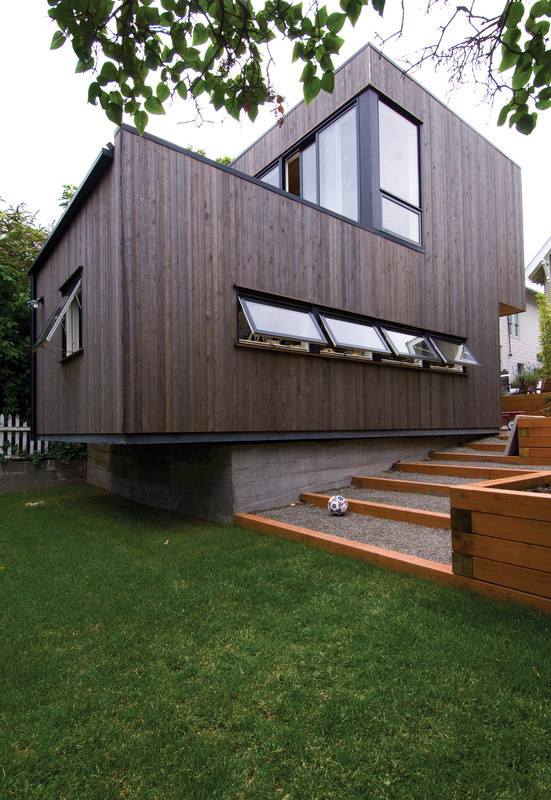 The house is cantilevered from its foundation so as not to encroach on a property line shared with the city; this also creates a hovering effect while minimizing the home’s visual mass. Inspired by the work of Sol Lewitt, “Lineamientos” was conceived by Hutchison and colleagues and was executed by a creative team in Mexico. It celebrated memory and place in a family home designated for demolition. For Robert Hutchison, conceptual projects act as informative influences in his architectural work. 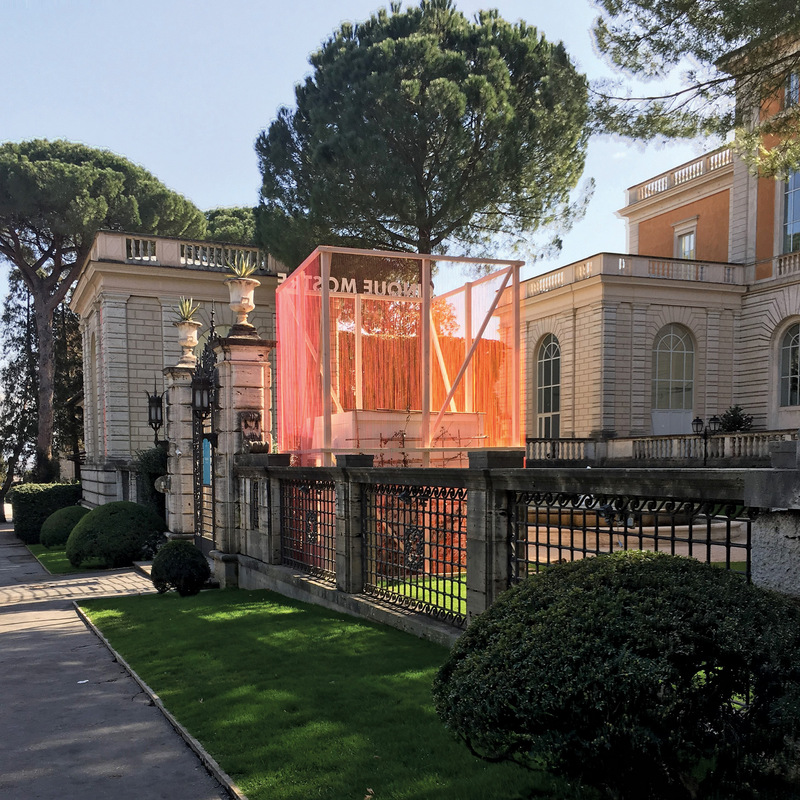 While in residence at the American Academy in Rome, Hutchison, Aaron Forrest and Yasmin Vobis created a Gate House installation influenced by Robert Venturi’s Decorated Shed project.